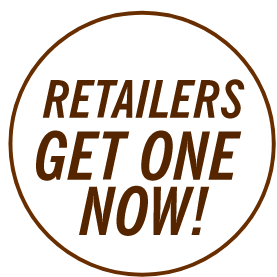 Pat and Stick's - Homemade Ice Cream Co. Pat and Stick's - Homemade Ice Cream Co. The original world-famous frozen treat, made right here in Australia since 2004. Nine classic flavours to choose from. 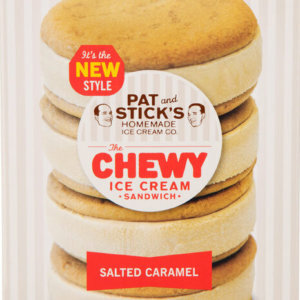 The next evolution of Pat and Stick's. More fun than fancy. More chewy than crispy. 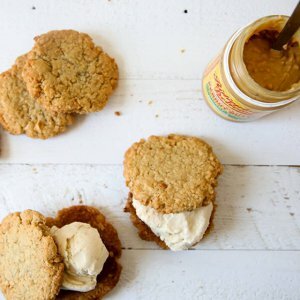 We've gone Vegan! 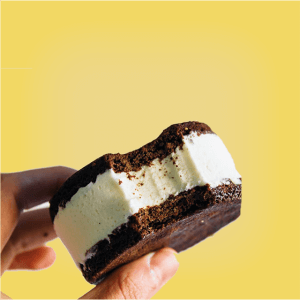 Some of our classic ice cream sandwiches are now also Vegan. Do Pat and Stick ever sit still? Why, no. Mucking around making one-off blends is one of their favourite pastimes. 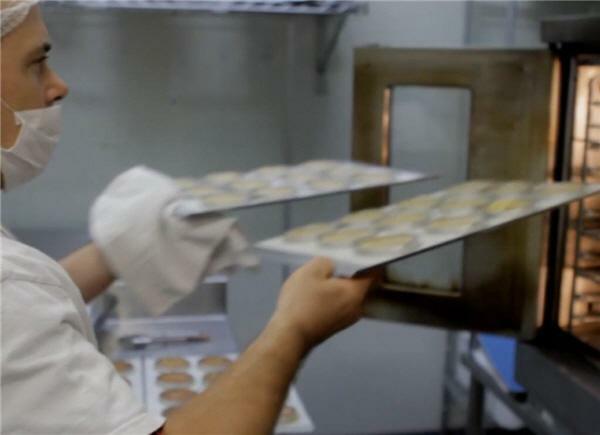 Meet our most hardworking team member: the Pat and Stick’s freezer, loaded and ready at a store near you. 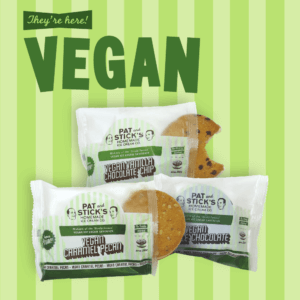 Our latest creations are Vegan sandwiches - pick up a pack now! 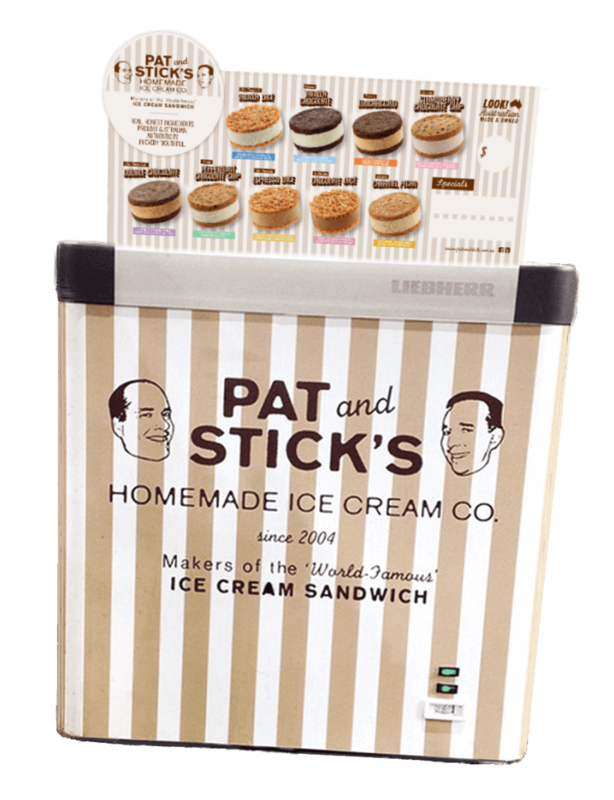 Foodies, boffins, Frisbee-players, friends: founders Pat and Stick talk about their brand’s origins, and the secrets of making great ice cream. 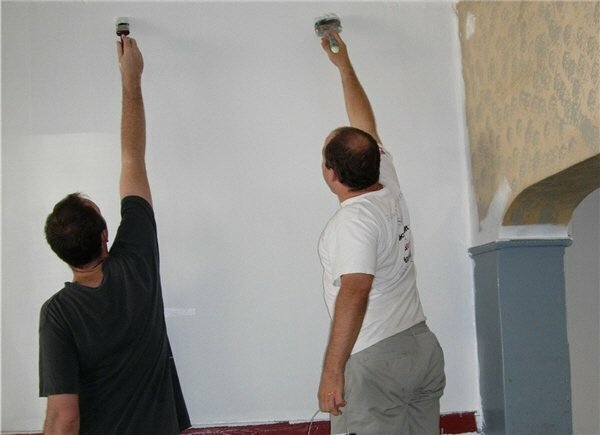 Here’s a picture of us, painting our first kitchen back in the day. The tall and the short of it. 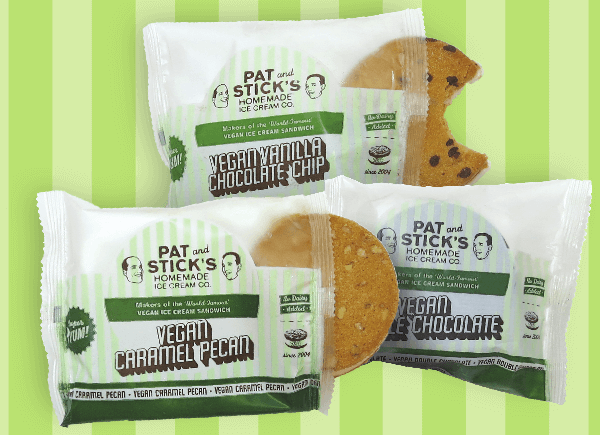 Pat and Stick’s ice cream with coffee, tacos, pizza, pancakes and even bacon. Get inspired here, or follow our Facebook and Instagram feeds.